For some rampin?, ridin?, slidin?, faster fun this summer connect a garden hose to the H?O Go slider and go. 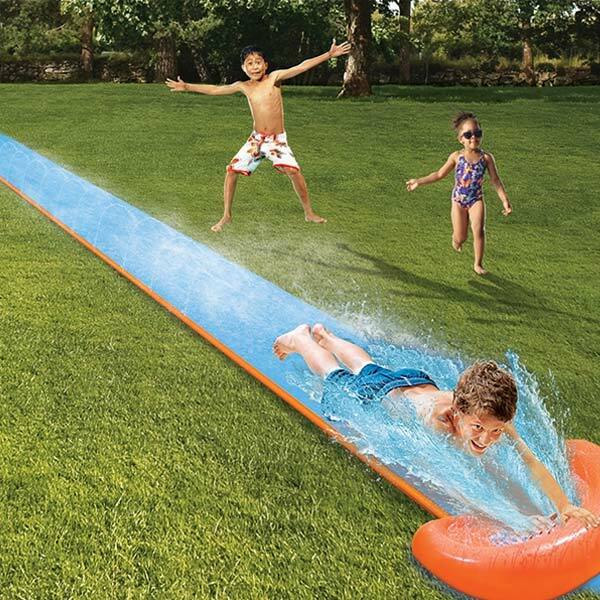 Have hours of fun with this inflatable water slide. It will be like having a water park in your own back yard.